Canada’s Walk of Fame introduces a four-day festival of music, comedy and film, featuring some of Canada’s most iconic performers. 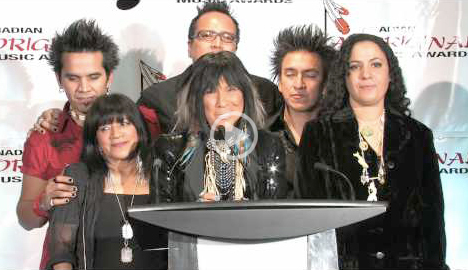 Headlining the weekend’s festivities are internationally acclaimed artists Buffy Sainte-Marie, Burton Cummings, and Paul Anka. In total, the festival will announce over 50 performances including a spotlight on 26 emerging artists. The festival will be held at select locations in Toronto October 14 – 17 (catch Buffy on Saturday, October 16 at the Elgin Theatre). Tickets on sale now! This album is a digitally re-mastered version of three albums: “Buffy,” “Changing Woman” and “Sweet America” on the Gypsy Boy Music label, distributed by Appleseed Records in the U.S., and EMI in Canada. These songs, written in the 1970s and new to most Buffy fans, fit right in with both her classics and more recent songs. Look forward to hearing them live this fall. Tour response to her song Generation live in concert across Canada has been incredible. Yellowknifer: How do you feel about your long-celebrated repertoire from the 1960s and 1970s – have you tired of performing your oldest songs live or does it still excite you to perform the classics? 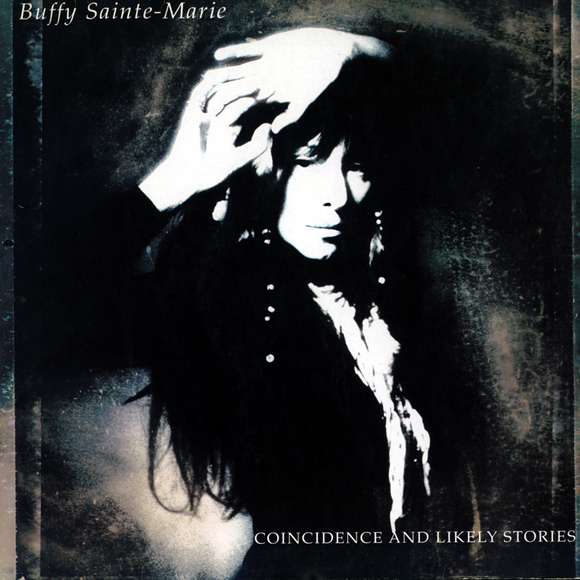 Buffy Sainte-Marie: If I get tired of a song, I don’t do it until I’m hot for it again. The nicest thing that can happen to a classic song is when a new band falls in love with it – it’s like a musical aphrodisiac every time – and good songs remain good songs. 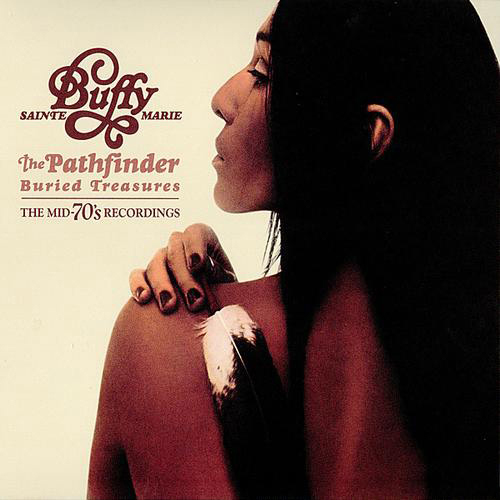 The best thing about the re-release of The Pathfinder: Buried Treasures mid-70s collections is the songs! Of course some of the arrangements sound kinda dated now, and recording techniques are different; but underneath all that, the songs are really strong. Some of them were too early (environmental greed, women’s perspectives) but now people get it. There are all kinds of surprises for people who lost track of me in 1967 – pounding rockers and environmental protests and some totally intimate love songs that most people wouldn’t guess are mine. Check out Buffy at the 2010 Winter Olympics in Vancouver, documentary footage, EPK video, and more in the online video section! Music video for Fallen Angels is online! What a great weekend! 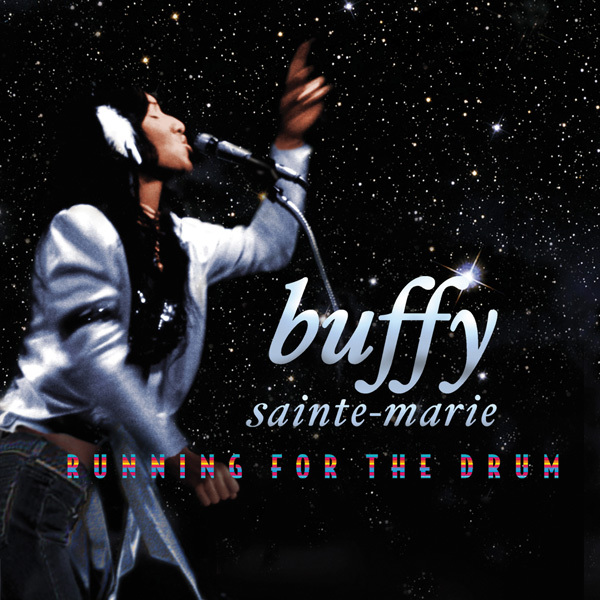 Buffy was in Hamilton, Ontario and on-hand to accept four awards from Canadian Aboriginal Music Awards for her album, Running for the Drum. Buffy recieved: best female artist, best album, best single for “No No Keshagesh” and best songwriter. What a spectacular way to wrap up November. Who knows what December will bring? Who is the only Native American/Canadian to win an Academy Award Oscar? 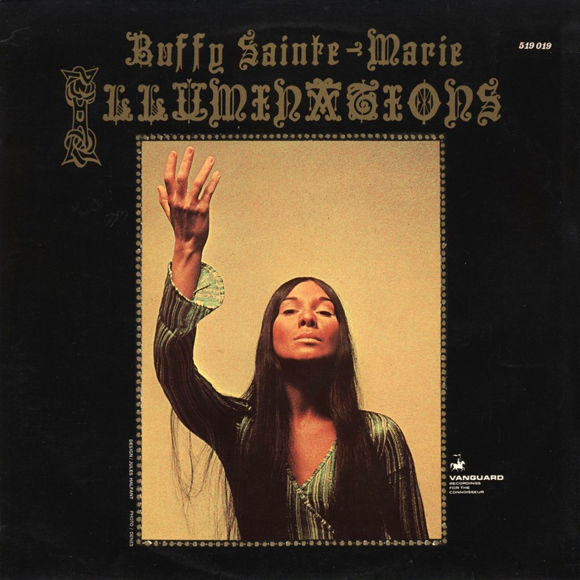 Buffy Sainte-Marie was an Indian before it became fashionable to be one and sang about Native issues when nobody else did. She also wrote and performed songs about the state of the world, and people’s sweetest emotions. This record serves to remind us all of her unique voice and unwavering strength of character. But it’s not just vocally and lyrically that makes her so distinctive. Think about other single female folk acts that you know of from that era and what comes to mind? Simple melodies plucked out on a guitar and basic arrangements about as threatening as the flowers they wore in their hair. At the same time, Buffy was using electronics and overdubs to stretch and distort her voice in the harmonies on songs like God Is Alive, Magic Is Afoot, and The Vampire in 1965! She walks into the room and the distinct society thing takes a hike in the presence of the truly babe-acious. 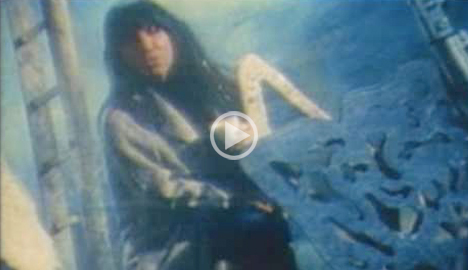 Buffy Sainte-Marie’s had lots of practice at handling compliments graciously. She laughs hugely and turns the talk to the merits of the space-age fabric that clings to her body like life itself. Coincidence and Likely Stories offers up shrewed and insightful chronicles of what’s going down, steeped in lovejuice and wrapped warm with womanly empathy. The music’s well up to date, Buffy being no slouch when it comes to composing with the Apple Mac, … and being relevant as she is, this is a piece of work that’ll hold its own in the commercial arena. And nobody wears it better.